A royal baby is always good news, and today New Zealand woke up to the announcement that a new heir to the throne was born. A little boy. I'm personally quite pleased about this. The royal family of Britain (and New Zealand) is doing well, and a new baby is a great way for them to keep up their popularity. Babies always bring their own luck with them (according to the Greek takeaways guys who tried to convince me years ago to have another baby), and I now realise with hindsight and much more life experience that those Greek guys were right. A baby is a blessing, and many babies multiply those blessings. Our world needs to rediscover that married men and women create babies, and that it is good, and that we should have more. Maybe the Royal Baby will inspire a baby boom. Whatever one might think of the Royals, their continual existence is important. They are a link to the past and as such are hated by modernists who would replace them with a republic. You can't make Socialist Man without destroying the past, and therefore socialists and utopians who want to create a new future free of past restraints and traditions, will always stress the Monarchy's irrelevance. 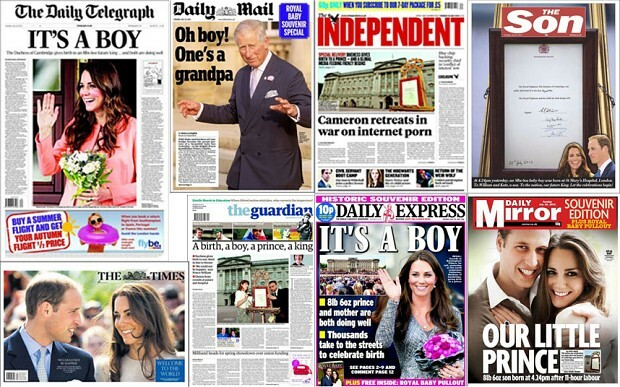 Yet, the Royals are not irrelevant, the interest in the Royal Baby proves that. Strange Lucyna, that you fawn over the British Royal family when I believe they still discriminate against Catholics for succession. "Today's debate on the Royal succession highlights everything that's wrong with having the British monarch as New Zealand's head of State" said Lewis Holden, chair of the Republican Movement. Parliament debated the Royal Succession Bill for the first time today. The Bill, which dove-tails to UK legislation passed earlier this year, removes some discriminatory aspects of the Royal succession among members of Britain's Royal family, but keeps the discrimination against Roman Catholics in place. This is because removing such discrimination would put New Zealand's succession law out of line with the UK. 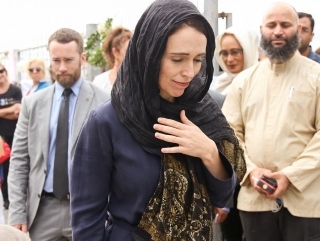 "This emphasises that the British monarchy is not our monarchy - there's no way New Zealanders would accept discrimination against one religion for an office of our country. It is part of our law that New Zealand citizens are protected from discrimination on the basis of religious belief or lack of belief" continued Mr Holden. "New Zealand's parliament needs to address the real issue, which is who New Zealand's next head of State should be. Changing the succession law for the British Royal baby is simply too little, too late. New Zealand babies are unable to grow up and aspire to be head of State of their own country. Our MPs need to address that discrimination first" concluded Mr Holden. And I find it strange that you consider my post as fawning over the British Royal family. At this point in time, the British Royals have no real power, but they are a link to the past when Monarchs did have power and when they were Catholic. They might very easily regain both some time in the future. Putting a media release on this post, which is celebrating the birth of a baby, is a little low, I think.